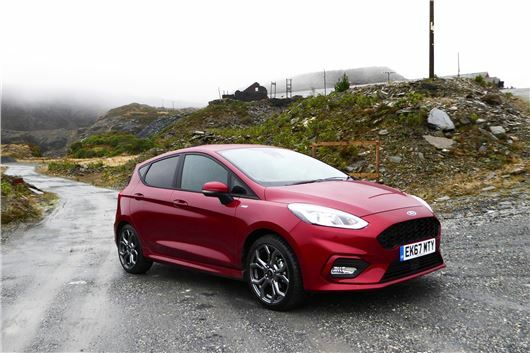 In reply to a query in your DT Agony Column of 9 December you said that the automatic version of the latest Fiesta has been fitted with a torque converter gearbox. However you do not mention the Fiesta in your reply to PK (DT 6 January) who was unhappy with the Powershift transmission in his 2015 Fiesta. Any reason? No history of the torque converter auto in the Fiesta yet. Should be ok but don’t know that. Has been fine in the Tourneo Connect and Focus 1.6 Ecoboost. I wanted to ask about the best / most appropriate way to sell an un-needed car in the family. It is about 9 - 10 years old now and done less than 50,000 miles. It has some bodywork damage (recent). It's a Skoda Octavia 1.4TSI hatchback. We just don't need this car or want to buy a replacement. You used to recommend sure-sell (or something), I remember. Was it BMA? What about those over-advertised webuyanycar people? BCA shut down Sure Sell when it acquired webuyanycar.com / The rival is wewantanycar.com run by Manheim Auctions. But if the car is damaged, these operations are unlikely to be very interested because the opportunity for profit is significantly reduced, so you will probably only get a derisory offer. If advertising on Autotrader you have to offer it cheaply anyway to get any response. For many years now we have read your column, used you as a font of knowledge and your recommendation of Wheelbase of Hersham to look after our Audis, for all of which I thank you. Sadly, it is now "I", as my beloved husband died two years ago. As his illness progressed he could no longer get into my SLK so it had to go and I took on his A6 Audi estate 2.7TDI. ‘Adolph’ and I have become huge chums and he goes like the hammers of hell but, he is a diesel and, like his owner, he is ageing. Wheelbase looks after him still but I was warned that there are "things" on the horizon that will need doing. The point of this is I need Max's guidance and he is no longer with me so "help" please. Do give me some ideas of what I might buy? I need to down size, go to petrol and maybe still have a little fun. Please do not even contemplate a Honda Jazz or I shall never read your column again. I always had the fun cars but realise at knocking on 70 I must have some sense. Mind you, my Lottery win purchase is an R8 or just maybe a McLaren however old I am. I travel to some friends making luggage stowage a factor too and a passenger or maybe even two. You're in good hands at Wheelbase of Hersham and they know the car, so ask Colin Marshall what you should do. Obviously his recommendation will be something VAG, but because you don't want a Jazz, that will probably suit you. Knock for Knock, who’s there? I was driving along a main road, and noticed a van waiting to join the road, emerging from a driveway on my right. He was signalling right, in other words he wanted to pull onto my carriageway. His front indicator was quite clear. I was doing rather less than the fifty limit and in no hurry, so I lifted off - I may have braked slightly (can't remember) and let the van out in front of me. He pulled out very slowly, and trundled off. As I came alongside the van, it suddenly turned right, across my path, and we collided. The van had been travelling in the opposite direction looking for a property, missed his turning so turned after sixty metres into the next one and came back onto the road to find his original destination. The driver denies responsibility, blaming me for the crash and claiming (despite me having paused to allow him to join the main road) that 'you must have been doing a ton'. I blame him because a) he should have noticed me when I let him out, b) he should have checked his path was clear before changing direction (Highway Code Rule 161), and c) he was obviously distracted looking for his destination. My insurance underwriter is defeatist about my claim, saying that as there were no witnesses it is my word against the other party, and we're drifting into a joint liability settlement. I've produced a witness who did not see the collision but confirms the driver missed his turn, and the underwriter's engineer report stating that this was a low-speed collision (30-40 mph max, supported by the position and condition of the vehicles after impact). Also the van was fitted with airbags that did not deploy, indicating a low-speed collision. Joint liability will lose me my no-claim bonus on five cars, and my policies will be loaded for five years. Having given my insurers strong, admittedly circumstantial not witnessed, evidence that the other driver was driving without due care and attention, how can I get them to fight my case all the way rather than roll over? My son needs a petrol automatic to ferry three young teenagers around London and on occasional long journeys. Second row mid seats in 5/7 seaters seem to be apologies for a seat apart from the Sharan and Picasso C4. Please can you let me know what other cars have comfortable proper seats and how do they rate overall against the Sharan and C4? The Galaxy, S-Max and Alhambra all have three proper centre seats. The Galaxy is a tiny bit smaller than the Sharan/Alhambra and has hinged rather than sliding rear doors. The S-Max is sportier and lower, but the same length as the Galaxy so has less room inside. The Alhambra is a re-badged Sharan. Then there are a few van based MPVs such as the VW Caddy Maxi Life and the Mercedes Benz Citan. I have Skoda Yeti L&K 170PS EU5 Diesel on a PCP due to expire March 2019. Should I hand back the car at the end of the deal, or pay the balloon and own it? The car meets my needs and, other than the uncertainty about residual values of diesels, I would probably want to keep it. You won't know until hand-back date. If the car is then worth less as a private sale than the GFV, hand it back. You'll probably find that the dealer will offer you a ‘deposit contribution' on your next PCP that seems to make up for the negative equity in the Yeti. But do your sums. Could be you can do better simply by handing the car back and making a new deal with a different dealer on a different car. Twice recently in replies to questions you have mentioned torque converter gearboxes, for example Mazda 2, 3, and CX-3. I own a 1999 Lexus IS 200 SE Automatic. How does this vary from a torque converter Automatic gearbox? Is there any value in my one owner 1999 Lexus IS 200 SE Automatic with 40,000 miles in good condition? A Lexus IS200 has a torque converter automatic transmission and a very smooth inline 6-cylinder engine. However, the engine has a timing belt rather than a chain and this may well need to be replaced together with waterpump and tensioner. The car might be worth about £1,000 to a Lexus enthusiast. We are promised trials of driverless cars on our roads within 3 years. One wonders that if driverless technology is capable of piloting a car through our busy road network then why isn't this same technology applied to trains that run on fixed tracks with no other traffic? If we can envisage driverless cars, then surely it is time we converted to driverless trains, which would resolve all the issues of driver availability and training. Not specifically a car-based question but it does make you think about the direction of travel with driverless technology. We could move much faster if the technology was applied to captive vehicles - like trains. There are some driverless trains, though restricted to relatively low speed. I've been in them. For example the Heathrow transit from T5 to Gates B and C. And the shuttle train at Gatwick (to mention a couple). Like you, I can't see driverless cars working in most places. On captive city routes and dedicated motorway lanes (like trams) maybe. But not everywhere. I have a 2008 Mondeo Titanium 2.0 TDCI In the 5 years I have owned it I have done 30k miles and the car has been totally reliable and capable of 60mpg fuel consumption. However, with the mileage now at 113k, I feel it is time for an update and would appreciate your thoughts. Each summer I drive to southern Spain, and this trip accounts for approximately one third of my yearly mileage. Most of the rest of the mileage is taken up with trips of 50 miles or more. As I live in central London, and public transport is free for me, I rarely use the car for short "shopping" trips. Both my wife and I really like the Mondeo, and would happily have another, but we don't actually need a car quite so big. What we are looking for is comfort, fuel economy and a reasonable amount of interior space and luxury. I would prefer a hatchback or estate. I also prefer diesels, but suspect keeping a diesel vehicle in Central London may be out of the question in the near future. I'd be looking for a car about 3 years old. Would you mind giving me a few suggestions so I can begin my search, please? You have to get rid of the car soon because diesel cars of this emissions category are soon to be heavily penalised for use in London. Better to get a petrol hybrid. A Prius is smaller than a Mondeo but you may consider it to be too big. A C-HR hybrid is a stylish SUV based on the Prius, but you may consider it too stylish. A KIA Niro is blander. If you have access to a power point you might prefer a BMW i3 with range extender, which is basically electric with a small petrol engine to keep it going when the battery charge is used up. I've been given a Toyota Yaris first reg 21-12-2007 by my elderly mother-in-law, who has used the car quite gently, although it was often driven harder by other family members. It is the 5-speed auto-box (with manual option) and, I think, electrically-operated clutch. It has covered only 28,000 miles and the engine is whisper quiet and uses no oil between changes. It did need a new gearbox at about 25,000 miles and I gather that this model box was not trouble-free. Do you know if the replacement box would have been an "improved" type, or the same as the original? I am a fairly expert driver and considerate of all things mechanical. Am I likely to get gearbox trouble and another 25,000 miles, do you think or do you think I should trade the car in against something more reliable, say a SKODA? As a pensioner in a parlous state this would be a big consideration for me and something I would not undertake lightly. Apparently, the Yaris is worth £1,800. It is very economical and fairly shifts along on Shell V-Power (always 2/4 more mpg on this brew). This is the automated manual, which I have always advised readers to avoid (along with all automated manuals). They require a sympathetic driving technique, clutches are prone to failure, but the big job is when the actuator fails and can cost close to £2,000 to replace. Toyota dropped it in favour of CVTs for the IQ, the next generation Yaris, the Avensis and the Verso. Honda also briefly had an automated manual called the i-shift in the Jazz and Civic from 2007-2011. Skoda reliability is as much of a myth as Volkswagen reliability. Generally (because there are always exceptions) Toyotas, Hondas, KIAs and Hyundais are the most reliable marques (with the exceptions of those with automated manual transmissions). We have a 2014 Nissan Note DIG-S Tekna, bought new in May 2014. In December 2016 the dealer replaced the Intake Solenoid Valve under warranty after the car broke down. The RAC man said the oil was very low (although I had been periodically checking it as I always have with previous cars and topping up when oil started getting low. The car was last serviced in April 2017 and has done 11,000 miles since then, so is due for another service. I have been religiously been topping up the oil as soon as it gets to halfway between high and low points and have used just over 2 litres since then. My wife uses the car for work every day and we have made a couple of long trips from Kent to Lincoln. The oil on the dipstick is black and smells quite "smokey" just as it was with our previous car, a 2003 Toyota Corolla diesel. Oil in my daughter's 2004 Fiesta 1.4 is golden on the dipstick, which is what I was used to with petrol cars. Is this black oil and high oil usage normal for a modern supercharged petrol engine? No. That level of oil consumption and the colour of the oil is not "normal". Reads as if you have been shutting off the engine when the supercharger is very hot and carbonising the oil inside it. I recommend you have the oil and filter changed asap, have the supercharger and its oil feed and oil return pipes checked to ensure they are not blocked with carbon. And then, whenever you have been driving the car up a long incline, or towing, or cruising at constant speed on a motorway, you idle the engine for a minute or two before switching it off so you do not cook the oil in the turbo nearing or its oil feed and oil return pipes. Some years ago, I had to relinquish a cherished number due to the car's MoT expiring and the car requiring extensive and uneconomic work to remain roadworthy. My understanding is that this number is lost forever. Why doesn't the DVLA re-issue such numbers, which would raise much needed additional revenue for the government? HJ's reply to the final question entitled 'The numbers game', gives a link to the DVLA which will simply result in a '404 Page Not Found error' due to a syntax error. Ensure the link used does not include the trailing space followed by a /. "...I took on his A6 Audi estate 2.7TDI. ‘Adolph’ and I have become huge chums..."
No offence to the writer, but I seriously worry about the attitude of some people to their cars. Naming cars is odd, regardless of age of car or owner. I seriously worry about the attitude of some people to their cars. Naming cars is odd, regardless of age of car or owner. not taking things like car naming quite so seriously might see you as sprightly and good humoured as that fine lady driving 'Adolph' swiftly about. The Docklands Light Railway trains are automatic and driverless, though oddly they occasionally have a person just to control the doors. They have a very good accident record too. Several French cities have entirely driverless tube trains.